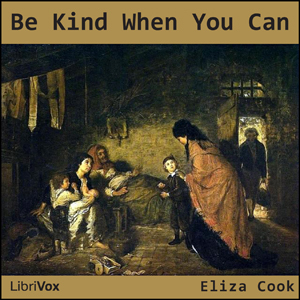 LibriVox volunteers bring you 16 recordings of Be Kind When You Can by Eliza Cook. This was the Weekly Poetry project for January 30, 2011. Eliza Cook was an English author, Chartist poet and writer born in London Road, Southwark.